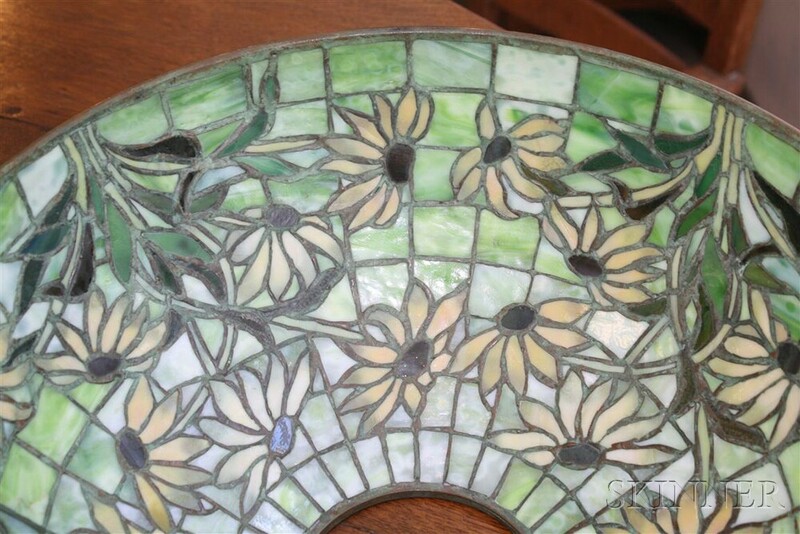 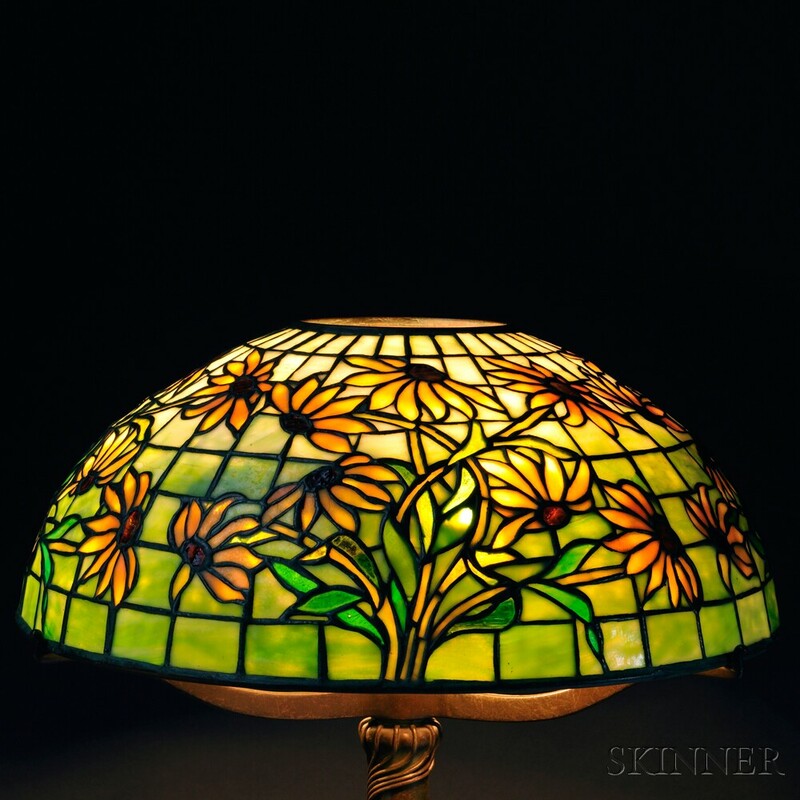 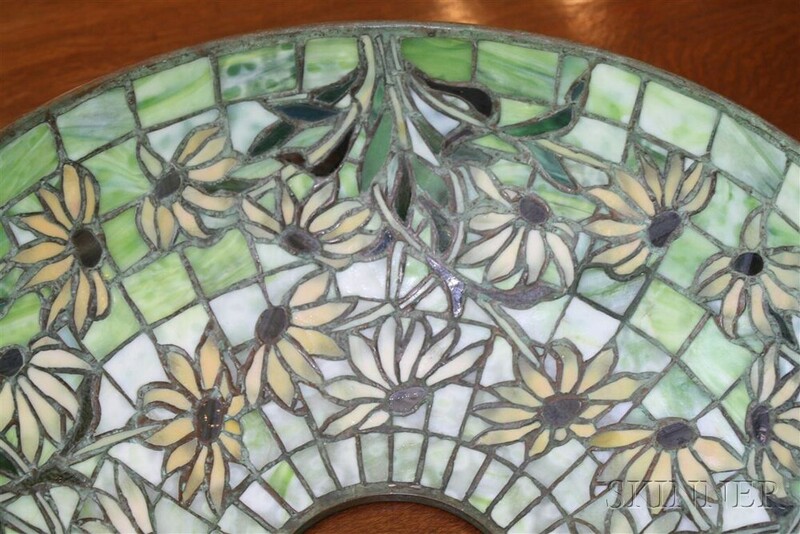 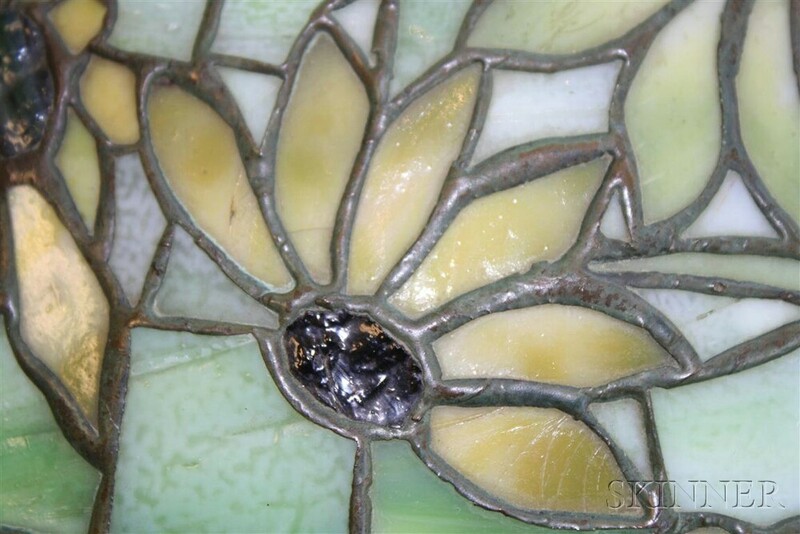 The shade with clusters of yellow blooms on curving stems framed by graduated pale to dark green panes, marked 1447-16, Tiffany Studios, New York, on the inner edge, several small stable breaks, dia. 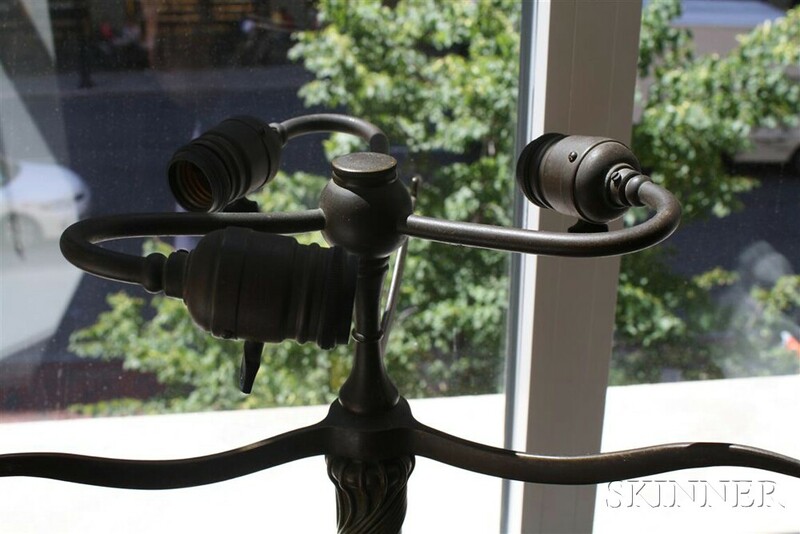 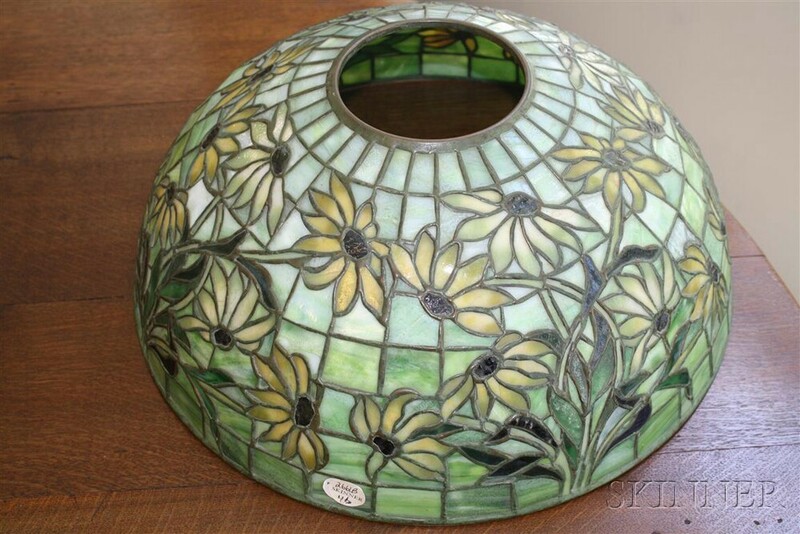 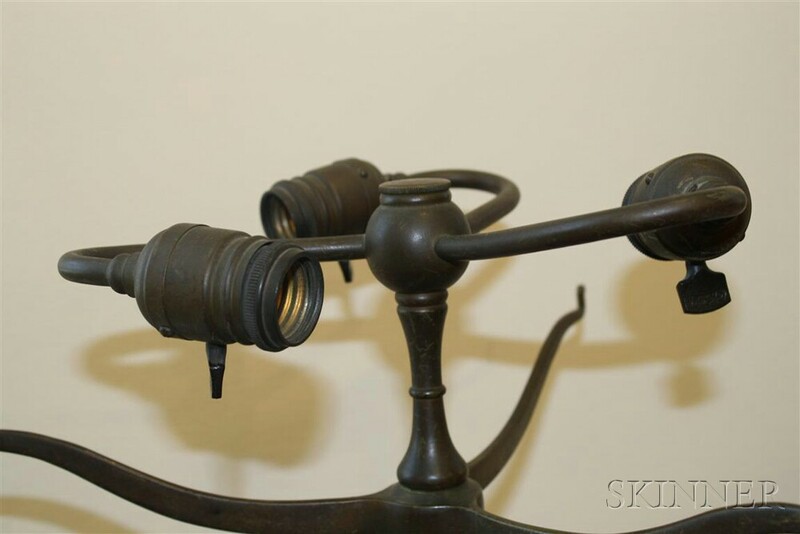 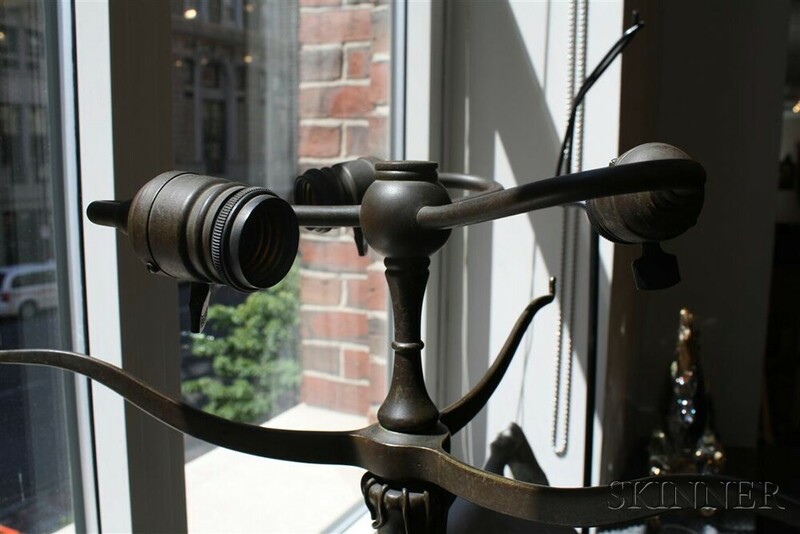 16 in., the base with a three-socket cluster ball with U-shaped arms over a three-arm shade support, applied scrolling wire and foliate motifs, on four pad feet, base plate impressed with Tiffany Glass & Decorating Co. monogram, Tiffany, New York, and numbered 25878, ht. 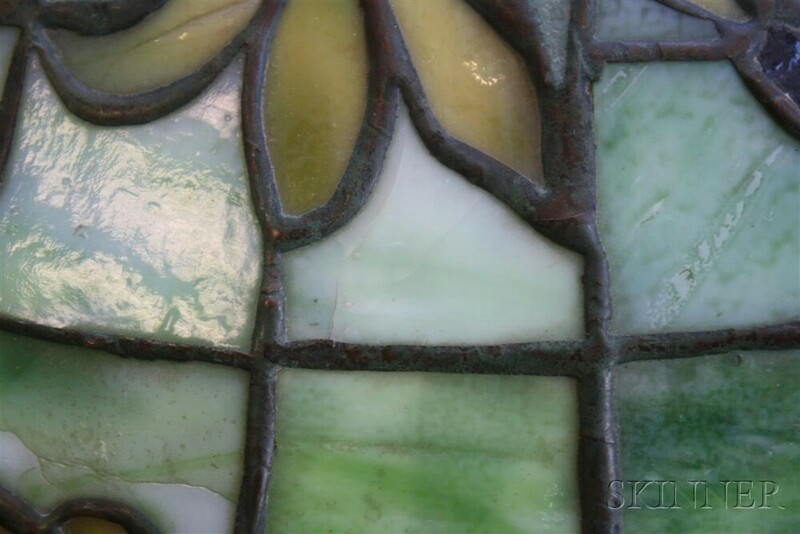 18 1/2, overall ht. 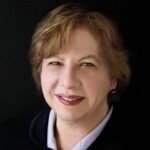 21 in. 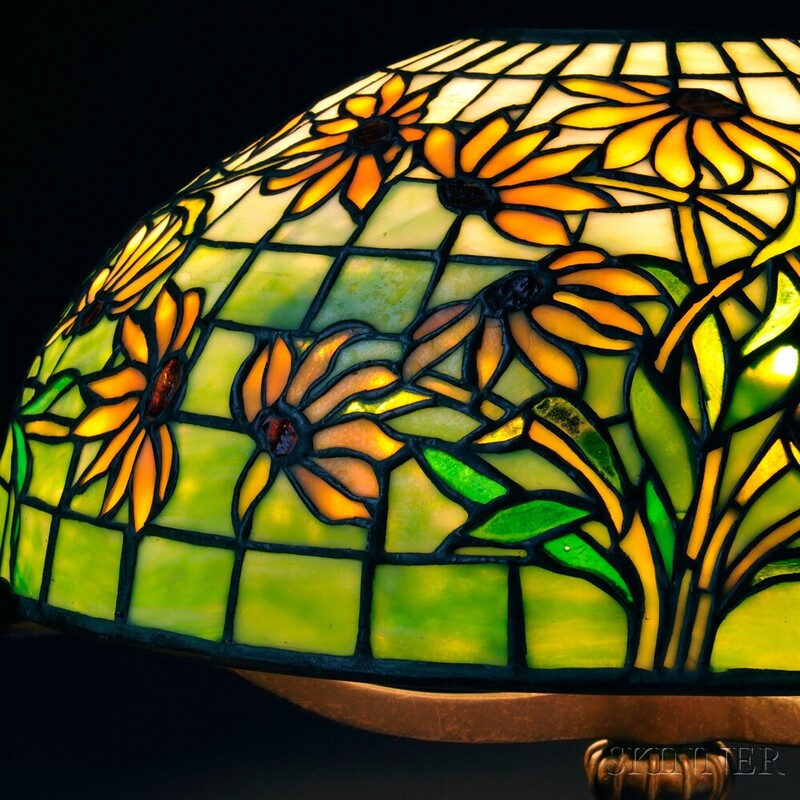 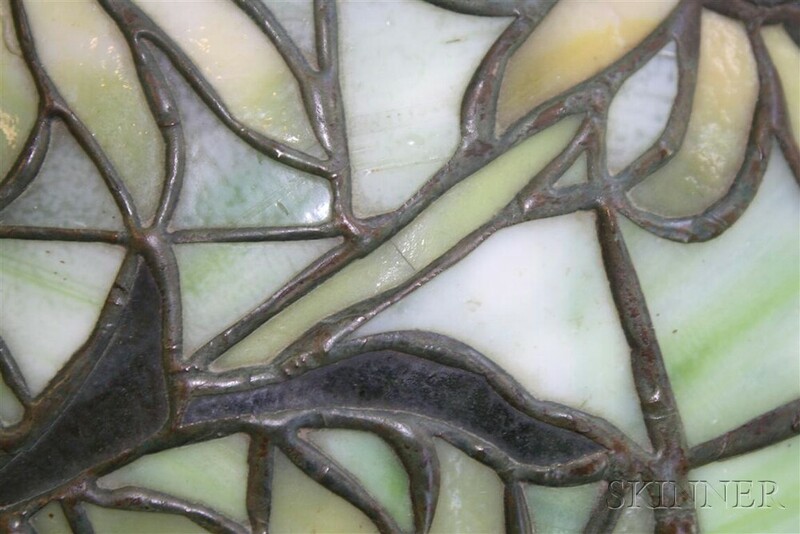 Tiffany, Tiffany Studios, Tiffany Glass & Decorating Co.